#BLBestOf3 – Jennifer Winget, Sonarika Bhadoria, Krystle D’Souza – who do you think was the best TV actress in the first quarter of 2018? 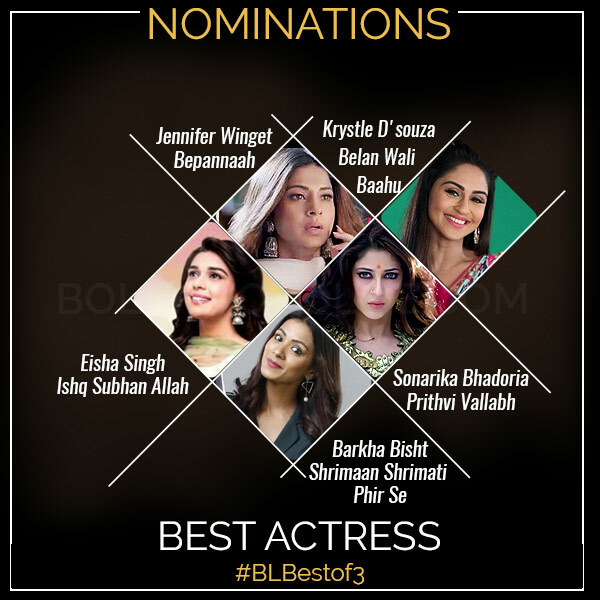 #BLBestOf3: Which actress managed to secure a special place in your heart among Jennifer Winget, Sonarika Bhadoria, Eisha Singh, Krystle D'Souza, Barkha Bisht? Bidding adieu to Sony TV’s popular show, Beyhadh, Jennifer is back like never before in a completely different avatar. Playing a sweet and demure lady in her current stint as Zoya in Bepannaah, the actress has started slaying it from the first week itself. Fans went berserk right from the day that the show went on air. After playing Goddess Parvati, the actress is back to woo everyone’s heart as Rajkumari Mrinal in Prithvi Vallabh. Sonarika has started creating ripples with her gorgeous looks and acting s****s in this periodic drama. The actress, who never shies from supporting what she feels, made headlines with her bikini pics. With that befitting attitude, Sonarika is back to make a mark on everyone’s heart. What do you think? 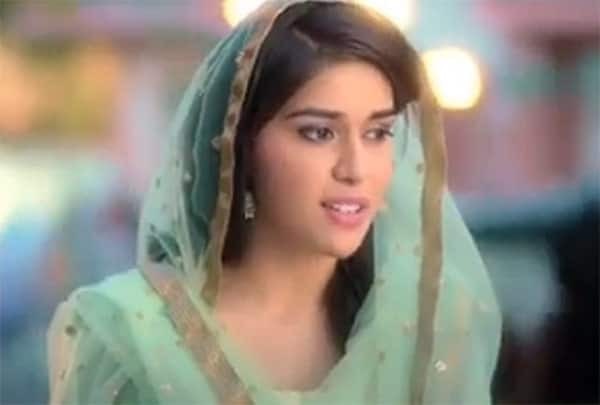 Ishq Subhan Allah is Eisha’s third show and we have a hard time believing that because she is so good in it. The show opened big at the ninth position in BARC’s TRP list and is going strong. It deals with the issue of triple talaq and women empowerment. Eisha plays a strong character and everyone is in love with her. Not to forget her stunning looks on the show. The actress knows how to win hearts and she is doing her best. Though it was hard to see the glamorous diva, Krystle D’Souza in a printed georgette saree, playing a clumsy bahu, she has excelled. The actress will make you laugh with her stint in Belan Wali Bahu. 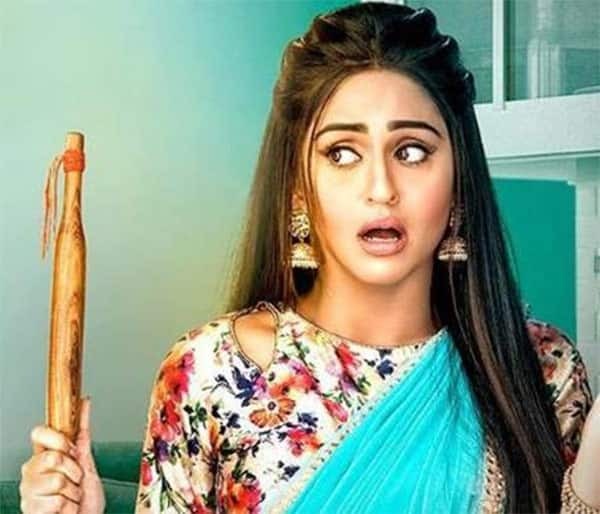 The sitcom has given Krystle a new path altogether. The actress has played many shades, but watching her in this genre was surely a treat to the audience. Barkha was last seen in her stint in Star Plus’ popular show, Naamkarann. She won our hearts with her emotions. But now the actress is back in a new avatar. Shedding her bahu avatar, she is tickling our funny bones. Playing the modern Prema in SAB TV’s Shrimaan Shrimati Phir Se, she is not failing to impress us with her funniest best. The show gives the modern Shrimaan Shrimati version and oh boy is she ****ing it! Well, all of them are equally rocking all the shows and we can’t pick one. So vote now and choose the best TV actress of the first quarter of 2018.